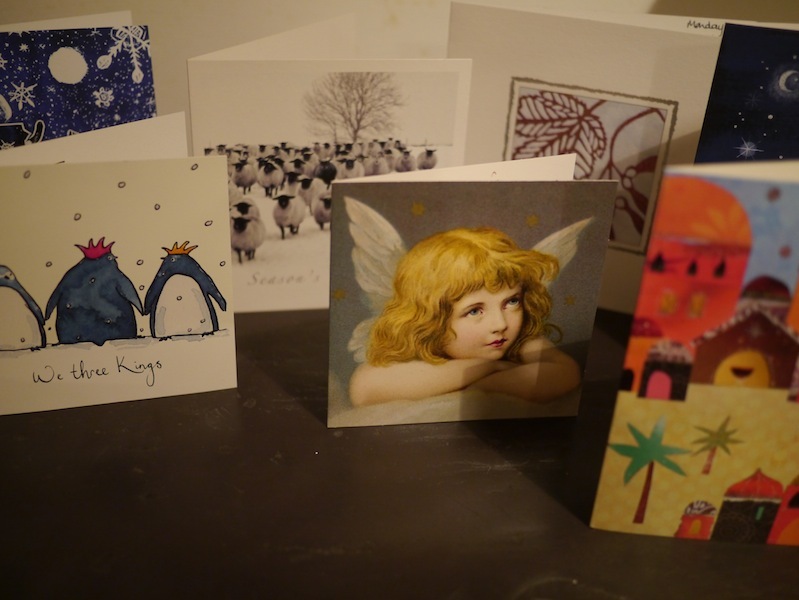 Last weekend I started to send out my Christmas cards. And I began in a bit of a humph. Why am I sending cards to these people who I haven’t seen for years on end? Writing them out, giving a bit of news, putting them in an envelope, buying a stamp, posting them off. I admit it. I was beginning the task in the wrong state – a bit of a bah humbug mood. So I sat myself down and thought about it again. Why exactly am I sending them? With some people our paths haven’t crossed for years – even though we don’t live that far from each other; people move; people are busy; friends might have fallen away. Yet, underneath all that a fond memory remains. A pause for thought gives me the time and space to look at my younger self, remembering me and them as we were – of who we were, what we shared – work, friendship, behaving badly, laughter and support. So I will continue to send those cards. I will smile and remember those good times when we saw each other regularly and whatever has happened in that time lapse I am confident there was, and still is, a friendship even if it might be a little semi detached. Also I enjoy receiving cards from old friends. And I like playing detective when they arrive. First of all spotting the sender’s identity; recognising the handwriting, and if you don’t, the postmark may be a clue. And then when that has failed, take it out of the envelope and think what sort of person would send this card and eventually you discover someone who has remembered you this Christmas. You don’t get that with e-cards.